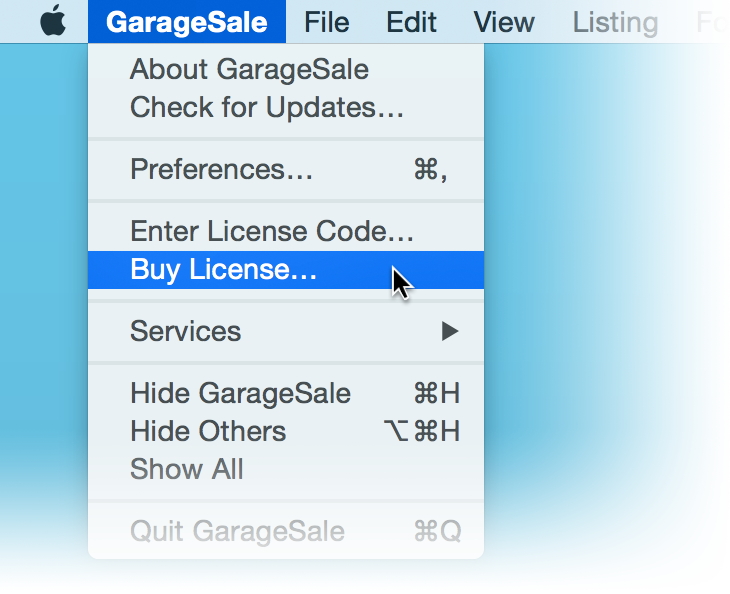 To purchase a license simply open GarageSale and choose “Buy License...” from the “GarageSale” menu. This opens the built-in license store. Upgrade license: GarageSale 7 is the first paid upgrade since 2010. If eligible, GarageSale will offer you the upgrade license in the license store. Free upgrade license: If you purchased your GarageSale 6 license directly from iwascoding after August 1st 2015, you are eligible for a free upgrade to GarageSale 7. GarageSale 7 will offer you a free license once you start the purchase flow within the application. Unfortunately this free upgrade is not available for customers who bought GarageSale from the Mac App Store. Contact us if you have any questions or check our FAQs. Due to eBay policies your account must be older than 90 days and have at least 10 feedback points as a seller.